The story of Alcyone and Ceyx in Greek mythology is one of love and metamorphosis, strangely enough it is also a story that has given rise to the term “halcyon days” in the English language. Alcyone was the daughter of Aeolus, although it is not totally clear which of the Aeoluses who appeared in Greek mythology was her father. Some tell it was a king of Thessaly with Enarate or Aegiale bearing Alcyone; or else it was Aeolus, the king of the Aeolian Islands and the ruler of the winds. This second Aeolus makes more sense in terms of later events in the myth of Alcyone and Ceyx. Ceyx was the son of Eosphorus (Hesperus) the Morning Star and his partner Philonis. Some say that Ceyx founded the city of Trachis in Thessaly, certainly he became king of the city state, ruling alongside Alcyone. Ceyx appears to have been a hospitable king, for he welcomed Peleus, after he had been exiled from Aegina, and Heracles had lived and died in the region. Ceyx also briefly gave sanctuary to the descendants of Heracles when they were being pursued by Eurystheus King of Mycenae; although Trachis was not strong enough to harbour them for long, and so they were moved onto Athens. The most important part of the story of Ceyx in Greek mythology was his death. Ceyx was troubled by events in his kingdom since his brother, Daedalion had been transformed into a hawk by Apollo. King Ceyx decided to consult the oracle of Delphi, and although he could have got there by land, it would have been a journey with many dangers en route. Ceyx therefore decided to go by sea, although Alcyone was said to have pleaded with her husband not to make the trip. Ceyx had made up his mind, and so leaving his wife in Trachis, the king set sail. Each night after her husband had departed, Alcyone would pray to Hera for the safe return of her beloved husband. Alcyone’s fears proved well founded for when Ceyx’s boat had travelled only a part of the journey, it was caught up in a great storm. Ceyx realised his end was near, and he prayed that his body might be returned by the waves to Trachis and his wife. 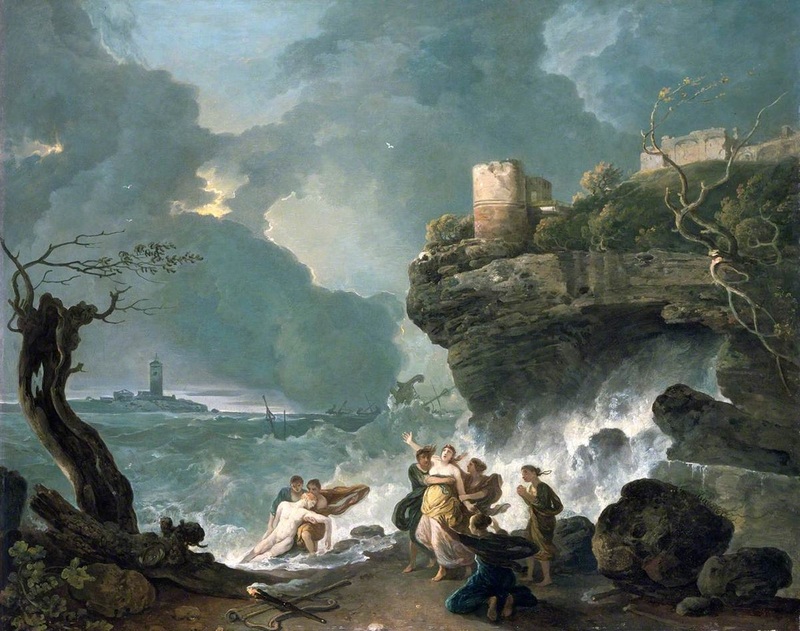 Occasionally, it was said that the cause of the shipwreck was a thunderbolt thrown by Zeus, Zeus having been angered by the Ceyx and Alcyone calling each other Zeus and Hera, thus comparing themselves to gods. This impiety though doesn’t fit with the character of Alcyone and Ceyx, and so the shipwreck may well have just been an accident. Ceyx did indeed die in that storm, but Alcyone not knowing that her husband was dead, continued to pray to Hera. Hera decided that Alcyone must be informed of the death of Ceyx, and so dispatched Iris to Hypnos in order that the news could be passed on in the form of a dream. ​Hypnos would dispatch Morpheus, the leader of the Oneiroi (Dreams) to the Queen of Trachis. Morpheus would change his appearance, taking on the form of Ceyx, and subsequently appeared to Alcyone in her dreams. There Morpheus told Alcyone of the fate of her husband. Alcyone would wake and go to the shoreline, and there she discovered the body of her husband, returned to Trachis by the waves. 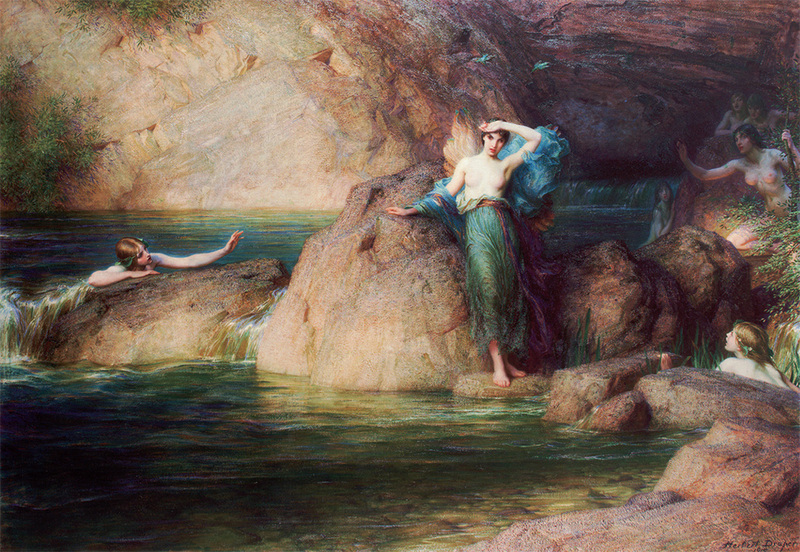 Alcyone was distraught and wishing to commit suicide, threw herself into the sea. Before she died the gods transformed Alcyone into a halcyon bird (kingfisher), and also brought Ceyx back to life, transforming him into a kingfisher as well; the loving husband and wife were therefore reunited. Alcyone of course gave her name to the halcyon birds, but she also gave her name to halcyon days, for it was said that when Alcyone tried to lay her eggs in a nest upon the beach, the winds and waves threatened both eggs and nest. Aeolus, the king of winds and father of Alcyone was said to have calmed the winter storms for seven days, so that the eggs could be safe, and these were the halcyon days. The term of course has come to mean calm and peaceful days in general. Prior to their transformation, Alcyone and Ceyx were said to have become parents to Hippasus, a prince who would be an ally of Heracles in his war against Oechalia; Hippasus though would die in the war. Occasionally, Hylas a friend and companion of Heracles was said to be a son of Alcyone and Ceyx, although other more likely parents of Hylas more commonly stated.